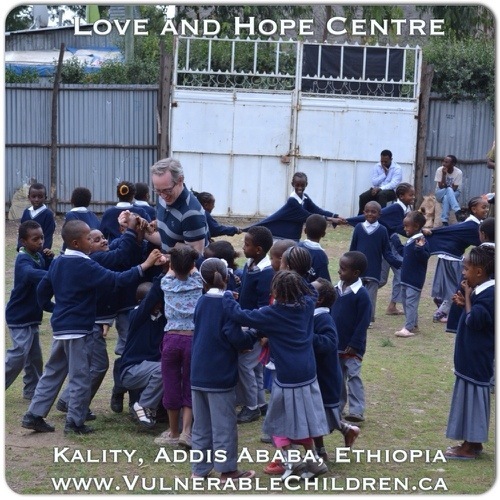 On March 10, I had the delight of spending the day at Vulnerable Children Society’s Love and Hope Centre in Kality, on the outskirts of Addis. In fact, a whole gaggle of us met at the centre. 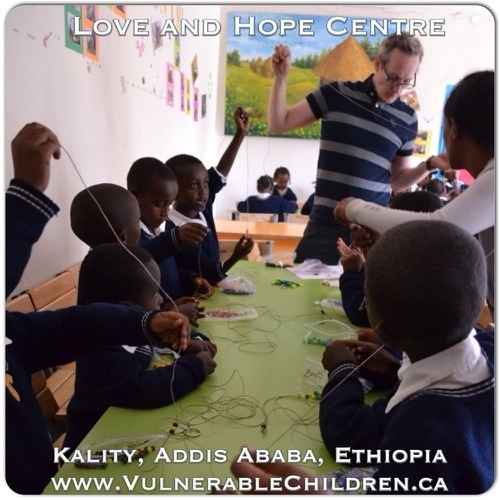 My family came along with me to teach crafts, and my kids ran around with the other Ethiopian children their age. I had a meetings with staff from Canadian Humanitarian, our partner organization that operates the centre, as well as Deb, the expedition coordinator from Canada. 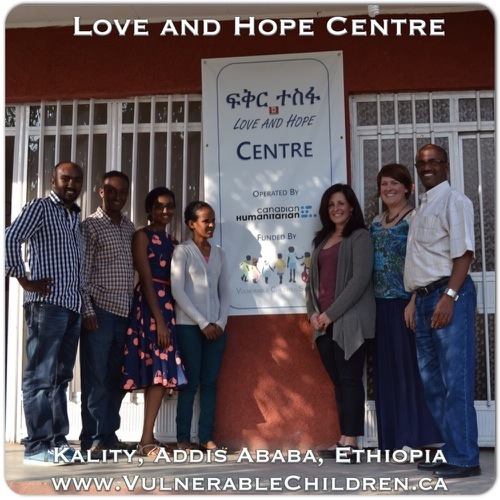 We were also joined by other Vulnerable Children reps: our project consultant Birhan, as well Nicole, one of our directors from Canada. It was a merry, busy day! Now, as the president of Vulnerable Children, I spend most of my time in Ethiopia in meetings, strategy sessions, and project evaluations. But this time, I got to interact with the kids, reading them stories and leading a craft. My mother, a retired school teacher, prepared a fantastic but very involved craft, that helped the kids practice their English. Counting, colours… My husband father, mother and I all lead groups of 15-20 kids, making beaded frogs and lizards. My hats off to my family… I had the benefit of rudimentary Amharic on my side; but they operated their groups with humour, determination, and a lot of hands on help. At the end of two hours, two hours! all the kids went home with an incredibly special, durable, and fun toy to show their families. On a personal note, my seven year old daughters visited and participated too. Most of huge children at the centre are right around their age, so even though they were shy at first, once their daddy got involved in chasing around the kids, they were in their like dirty shirts. My husband Jason only knows a few words of Amharic, but all he needed to start that game was by yelling “Anbassa!” (Lion!) at the top of his lungs. Then he had a crowd of kids, including ours, after him! 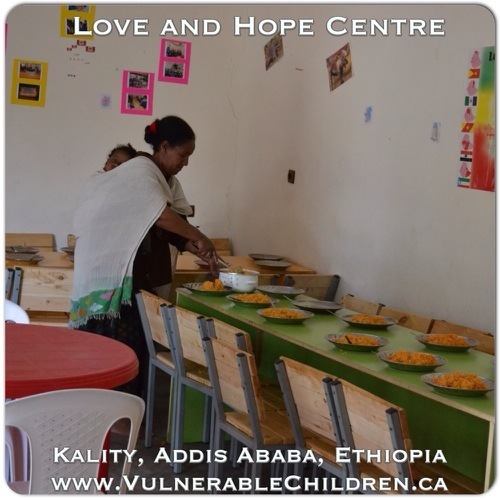 The children usually come to the centre for lunch, then return to school until the end of the school day. Then they return for after school tutoring, games, art club, showers, teeth brushing, etc. but since it was the first day back for them after “spring break,” the kids came for lunch, and stayed until the end of the day. I was really impressed by how the ideas concocted between Canadian Humanitarian’s former executive director and I, those months ago, have transformed into reality. It’s amazing to see. For example, we asked the caregivers to be involved in cooking… So far, five groups of female guardians have rotated through the kitchen, making lunch every day. The guardians are paid as cooks usually would be, and then the next month, they are replaced by new guardians. It’s a pretty awesome, legitimate way to financially involved them in the centre, as well as being involved and supportive. 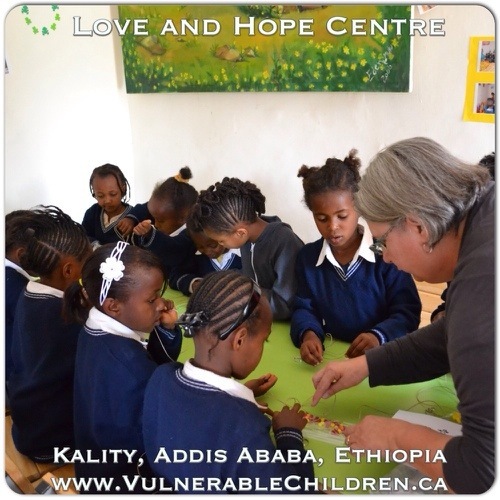 The centre’s coordinator, an amazing young woman, came with the children from the former program, so she knows and understands their individual needs well. Also on staff are a social worker, and an accountant. In reality, they all help with the day to day operations, and it’s an extremely efficient and effective operation. We did have meetings after the children went home (what’s a visit without a meeting?) to discuss the needs and new developments at the centre. I’ll share those with you all after I have a chance to discuss them with Vulnerable Children Society’s directors. But the punch line is that both our project consultant (who is doing formal evaluation work for us,) Nicole and I… We were all extremely happy with the project! 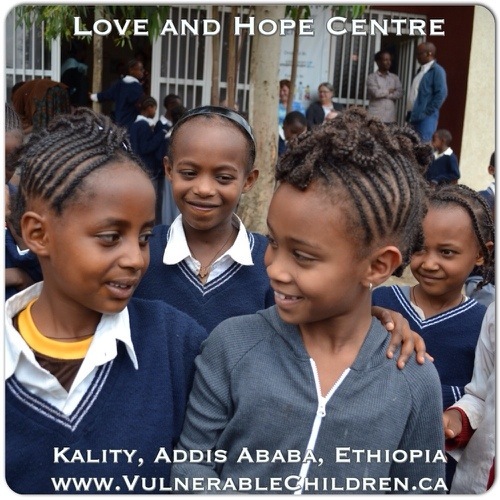 If you are currently a Love and Hope sponsor, you should be really proud of your support. It’s money extremely well spent! With an incredible well run centre. Hats off to our partner, Canadian Humanitarian, for operating a fantastic project. And hats off to you, for funding it! 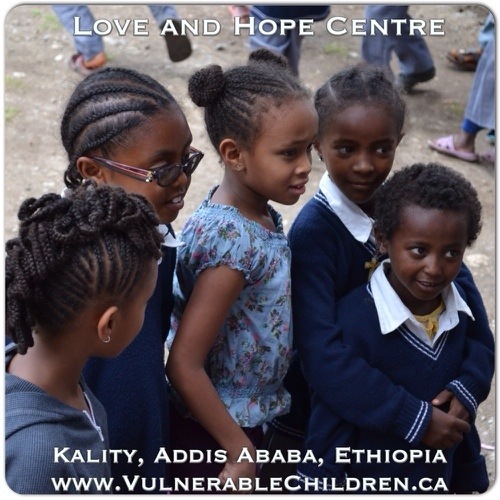 We hope you will ask a friend to join us as a Love and Hope sponsor, so that we can enrich this program, and open another centre in the near future! 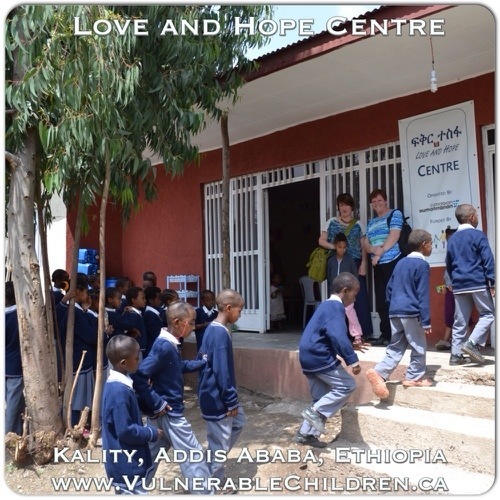 Next Next post: Guests Welcome at the Love and Hope Centre!